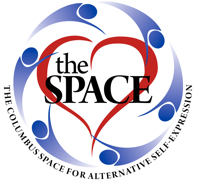 Columbus Space for Alternative Self Expression - The Columbus Community Rope Jam! The Columbus Community Rope Jam! For the event for a day pass to the Space! The summer is slipping away, but good news! Columbus rope groups RopeLab and AIS’s Central Ohio Rope Group (CORG) are joining to bring you one awesome rope event to help reel in Autumn. PLUS, in the age-old CORG tradition, THERE WILL BE PIE!!!!! Social Area & Open Rope All day!!! There will be *Social area, lab & open rope space* in the Sandua Room available the whole day! Talking *IS* permitted in this space! Use it how you want--meet new people, practice or lab some ties, or do some intimate rope with your favorite partner.